I have been staying in London for just over three weeks now. Today I had an urge to connect more closely with the main character of the novel I am currently working on, Simon Stanley. Simon is one of the lost souls who has found himself in the notorious London insane asylum Bedlam, also the books title. His journey begins in an area not too far from Winchester, Hampshire, the very same town in which you will find Winchester Cathedral. I am fortunate that for the next few months I can pretty much come and go as I please. I went online and booked a room in an Inn in Winchester and here I am. It is a cold damp day, this is England after all. The inn, King Alfred Place, is named after Alfred the Great, aka the first King of the West Saxons, aka just plain old King Alfred. His reign lasted from 871 to 899. 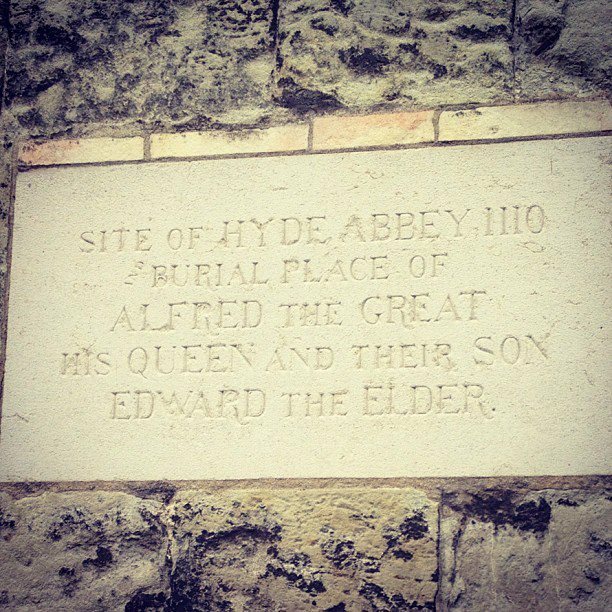 This area of town is where King Alfred, his wife and son were all buried. Sadly their remains can not be accounted for, due to all the luting and destruction that took place during and after Henry VIII’s dissolution of the monasteries. Needless to say this town has a long history. On my way to the inn from the train station I came across the ruins of Hyde Abbey which is where King Alfred was finally laid to rest, and snapped some pictures with my Iphone. This was just a short walk from the train station, I can’t imagine what tomorrow will bring as I go about and explore this ancient city in more depth. I’ll keep you updated as I get closer Simon. 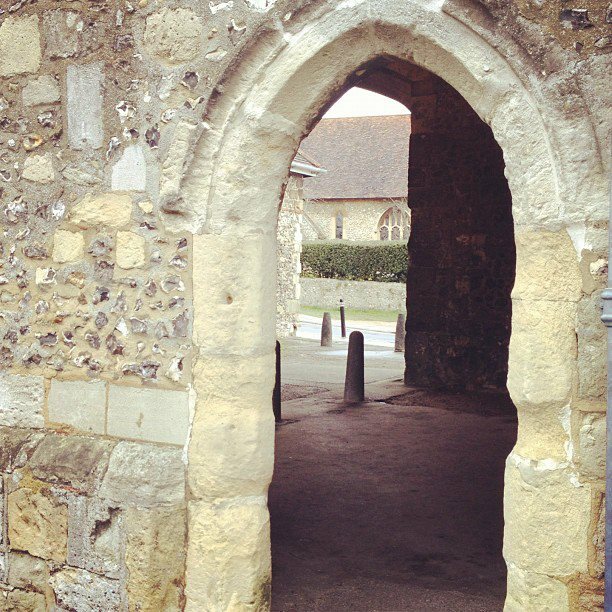 This entry was posted in american authors, History, writing and tagged Anne Marie Cannon, Bedlam, England, fiction, historical research, hyde abbey, MFA, simon stanley, travel, uk, winchester, writing. Bookmark the permalink. I so admire you for doing the hard work and GOING where your novel and your research requires. Yesterday I talked to a woman whose first novel will be published next year. It was a random coincidence … she chose to center her novel in my hometown (Pinedale, WY). She has, to this day, not set foot there. She was asking me all sorts of questions about the town – its population, its vegetation, how close to mountains it was, etc. And the whole time, I was thinking, what idiot bought your book for publication? I say kudos to those writers who go the full mile (okay, like a hundred thousand miles) to put out work that is both accurate and that matters. Even in fiction, fact and research is important. Best of luck to you as you continue to search for Simon. Thanks Kate. I am really passionate about this. Traveling to England is such a gift in my life.